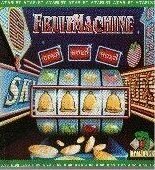 Arcade Fruit Machinefrom Zeppelin Games is a nice computer conversion of a fruit machine ? known as ?slot machine? in the US. 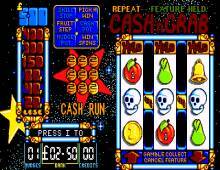 Although it?s not a full-fledged casino game, Arcade Slot Machine is still very entertaining, with excellent cartoon graphics and great sound effects. When luck is on your site and you keep seeing coins coming out, it?s a little hard to stop ;) Fun for a few minutes during coffee break at least if you are looking for a mindless and limited but nevertheless fun game.